Requisitos de almacenamiento Store One Shot E. coli at -80°C. Store all other components at -20°C. All reagents are guaranteed stable for 6 months when properly stored. 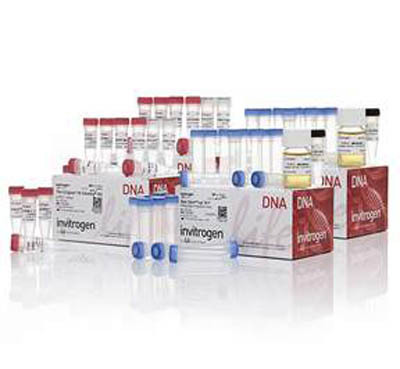 Incluye Linearized pCR2.1 vector, ExpressLink T4 DNA ligase, 5X ExpressLink T4 DNA ligation buffer, dNTPs, 10X PCR buffer, sterile water, controls, One Shot TOP10F' chemically competent E. coli, S.O.C. medium, and a supercoiled control plasmid.